I’ve been ridiculously excited about this ever since I was invited to participate months ago.. Opening on January 8th, Gallery 1988 LA presents their 4th annual tribute show, this time honoring He-Man and the Masters of the Universe!! Being a super-ultra-mega fan from 1983-85, followed by a brief few months in ’86, where I thought I might actually be She-Ra, you can imagine the fun I had painting these. 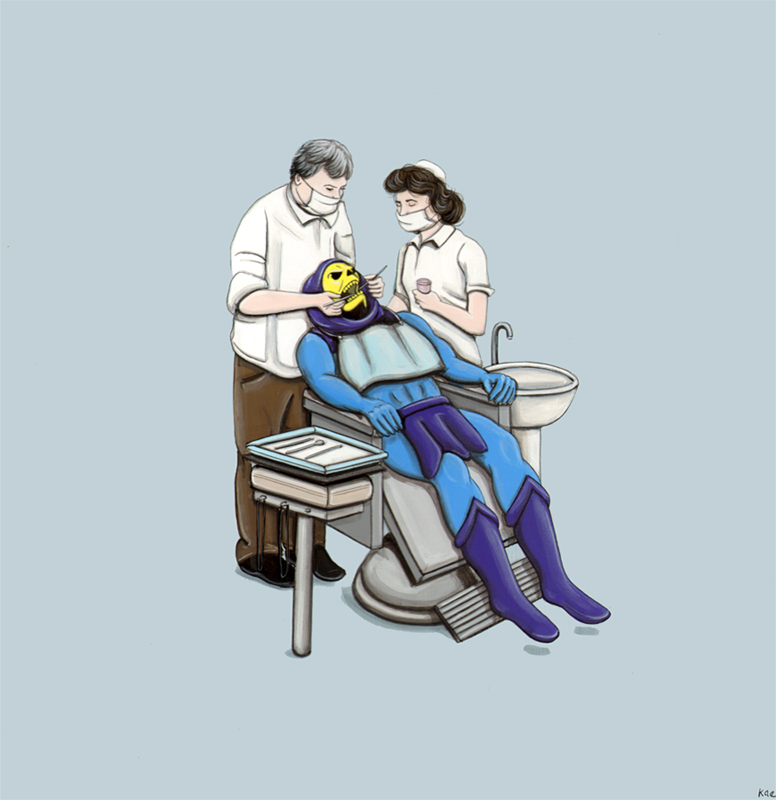 This is how I envision He-Man and Skeletor spending their days off; trimming the bowl cut and getting a root canal.. a very evil one. *UPDATE* I ‘ve received a few emails regarding these pieces (thank you!).. 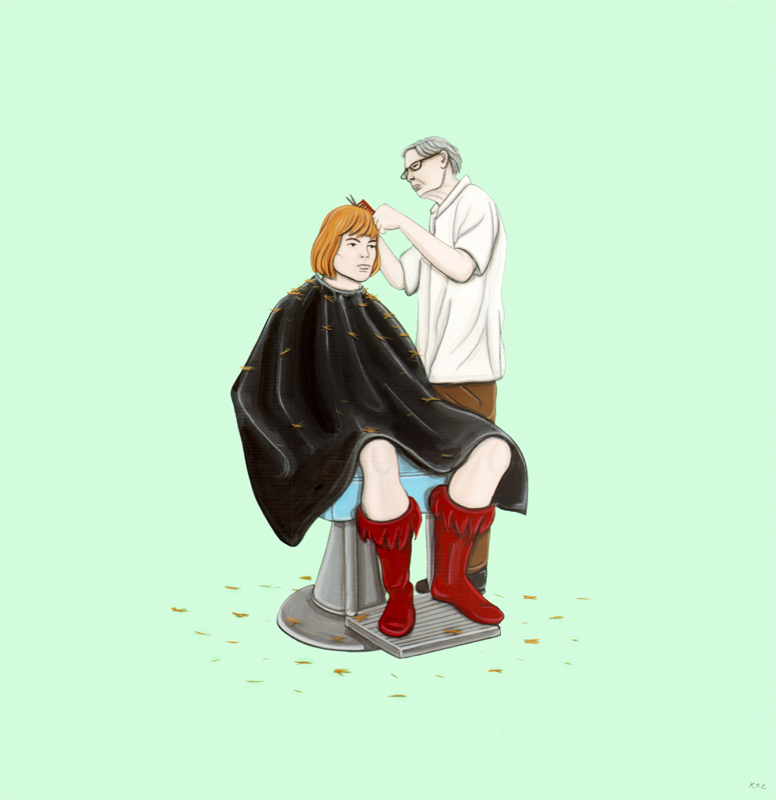 Both pieces have SOLD, but prints are being made by Gallery 1988, hopefully to be out sometime in April. If you have any questions, please contact me at kiersten@youfail.com. I just returned home from an amazing weekend spent in Miami eating good food, hanging with great friends and checking out an endless sea of art and design. I literally took hundreds of photos, but here are some of my favorite pieces below.. 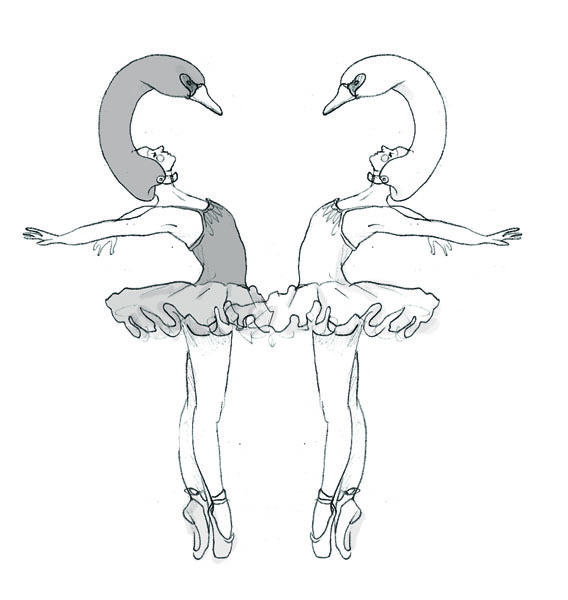 Rejected editorial sketches for a strange article on an ordinary performance of Swan Lake.